Calling all rosé lovers: check out The Grille at Morrison House, located in the heart of Old Town, Alexandria. The restaurant has a '100 Days of Rosé' menu for the warm summer months, and is extending this menu through September. 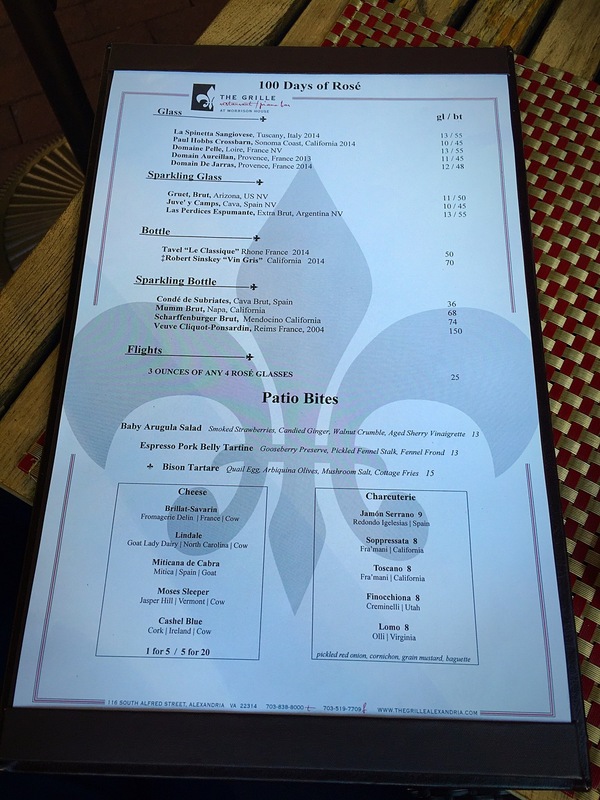 The menu features a fabulous array of rosés and some delicious small bites. Domaine Bellevue (Loire) - Most flavorful, fruity, tarte, may not be on menu so ask! MUST DO: Try the award winning Espresso Pork Belly Tartine. I'm not much of a pork person, but this little appetizer was to die for. The pork belly is melt-in-your-mouth good and atop the gooseberry preserve, it's a winning combination.